If you are shopping for bacon, your main options will be Canadian bacon and bacon. Both are widely available and can be used in many of the same applications. That said, the two are different in some significant ways. Consider the comparison of Canadian bacon to bacon below in another BBQ Showdown. What is the difference between Canadian bacon and bacon? In Canada, Canadian bacon is simply called bacon or back bacon and was once called peameal bacon. It comes from the loin or the back of the pig and has a more cylindrical shape before being sliced. When it is made from the back of the pig, slices of Canadian bacon have more of a strip shape but are still wider than strips of bacon. Canadian bacon also differs from bacon in that it is not always cured. Because of the part of the pig used to make it, it is usually lean and usually has a texture and taste closer to that of ham than to bacon. Canadian bacon has much less fat and sodium when compared to bacon. In addition, it is not always smoked. Lovers of Canadian bacon prefer to keep the delicate flavors that come from brining from being hidden by smoke. When it is cured, the curing is usually done using a basic brine. In Canada, this type of bacon used to be rolled in ground yellow peas and later on in cornmeal before being sliced into medallions. The use of peas is what gave rise to the peameal bacon name. The bacon most commonly used in the US typically comes from the belly of the pig and has a flatter shape. It also contains more fat. The fat gives it its distinctive streaky appearance. Bacon is usually cured and smoked before being sliced into long strips. Is it easier to prepare one than the other? When it comes to cooking, both Canadian bacon and bacon are typically fried. Neither is easier than the other to fry. Because Canadian bacon has less fat, you may need to use cooking oil but bacon can usually be cooked in its own fat. When making one or the other from scratch, the curing technique is also more or less the same. In both cases, you make a brine with curing salt and other flavoring ingredients and immerse the pork in it. Since not all Canadian bacon is smoked, you have the option of omitting that step. Unsmoked Canadian bacon would thus be easier to prepare since it requires fewer steps to make. When should you use Canadian bacon and when should you use bacon? Canadian bacon and bacon can be used in many of the same ways. For example, both are popular breakfast meats. 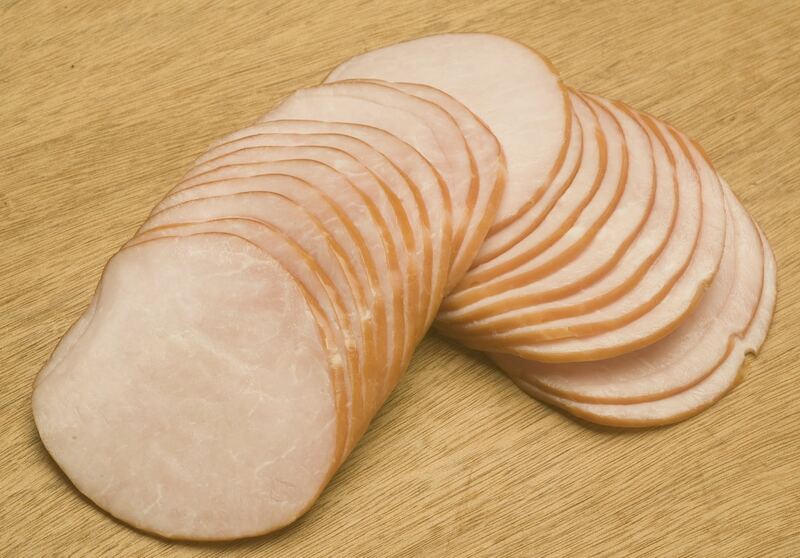 Canadian bacon is often considered the better of the two for sandwiches since its round shape is closer to the shape of bread slices when compared to bacon strips. In addition, Canadian bacon is essential for Eggs Benedict. When using Canadian bacon, you should note that the lower fat content means that it will not crisp up like bacon. In other words, you should expect a chewy texture. Because of this, Canadian bacon is not quite as versatile as bacon and cannot be used in dishes where bacon is expected to provide a crunch. In addition to being served with pancake or eggs at breakfast, other traditional uses include crumbling crisp bacon as a topping for salads or baked potatoes.